Most known for saying/catch phrase: Kaiji! Favorite clothing brand: Christian Louboutin Sneakers, even though I can’t afford ANY of the shoes from the brand. Favorite clothing brand: Casual, rock, emo types. Most known for saying/catch phrase: I can’t go, I’m invited to dinner. There are so many fantastic bands coming out of Sweden right now. Young, inspired groups that are bringing fresh, exceptional sounds to not only their home country, but reaching out to fans around the world. 2013 was a breakthrough year for Crestillion, bringing many achievements under the bands belt. I caught up with them during the release of their debut EP “Four Minutes”. Q. Thank you for taking the time to speak with me today. Would you please introduce yourselves to those reading about you for the first time and also tell me what colour socks you’re wearing right now? 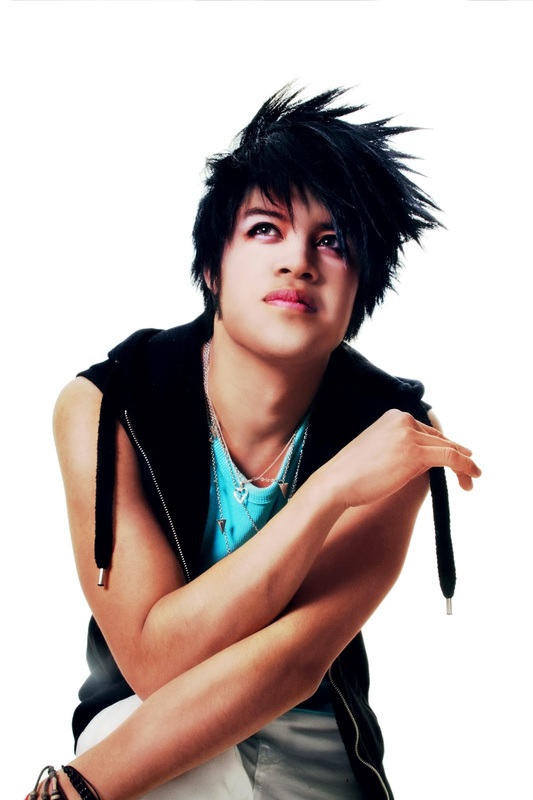 Petri – I’m the vocalist and hairstylist of Crestillion, a Swedish pop rock band with a visual image. I am currently barefoot but when I do wear socks, they’re generally funky. Lilo – I’m the guitarist and the young one in the band Crestillion. My socks are always black, always! Kriss – I’m the bassist, calm random guy that likes them cats. My socks are different from each day but most of them are black. Kitcha – I’m the energetic drummer, usually all over the place. My black socks are darker than Lilo’s! Q. Tell me about the beginnings of Crestillion. I understand Kitcha started this project with Petri? How did the 2 of you meet? And how did Kriss and Lilo get involved? Petri – When Crestillion was formed, I still played bass in my former band Still Echo. I worked simultaneously with both bands for a few months, but in the end I decided to go with Crestillion as this project provided greater artistic freedom for me. 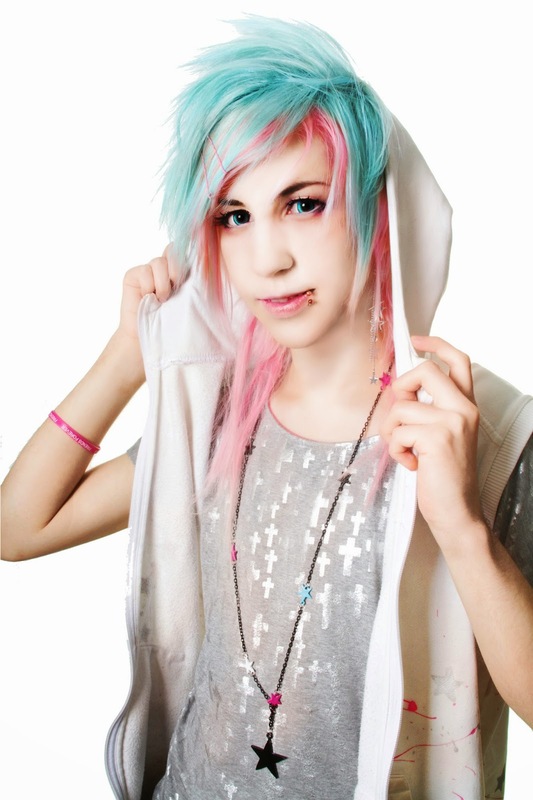 Lilo – I met Petri and Kitcha after I saw on the internet that other people wanted to play the same music as me. 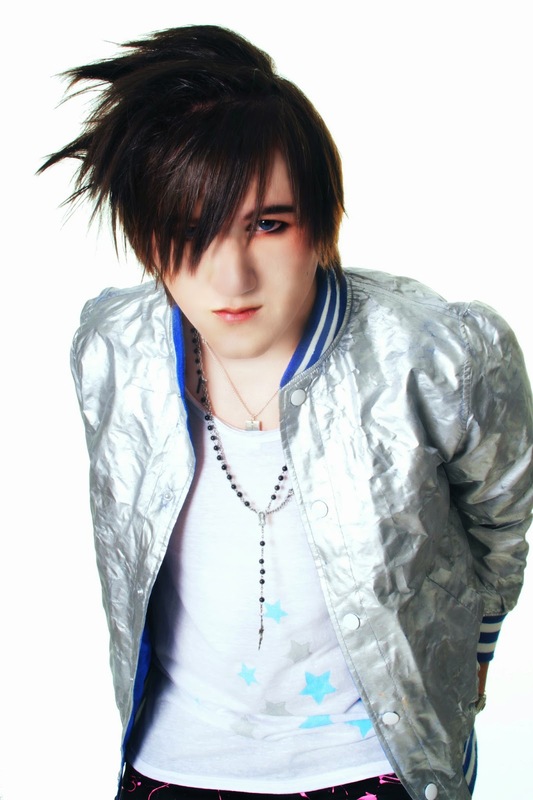 I was already in a band but it wasn’t for me, so Crestillion was the natural choice. Kriss – I met Petri for the first time in school a few years ago, started to hang out a few times. Then one day I heard he had a new project with a friend that sounded interesting. So I tried out for bass and the rest worked out perfectly. Kitcha – Petri and I were friends years before even starting Crestillion. So when we realized we had the same ambitions with music as well, everything went super smooth. Q. How did the name “Crestillion” come about? What does “Crestillion” mean to each of you? Petri – Kitcha and I were brainstorming a whole night for a good name. 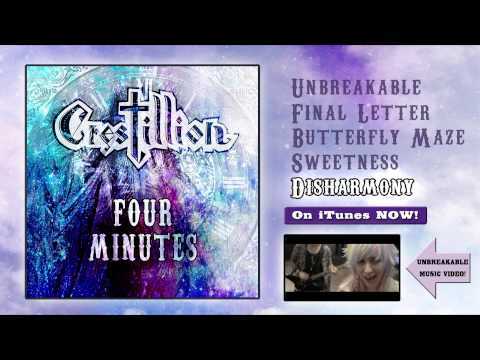 I tried combining several nice sounding words and Crestillion was really spot on! Kitcha – As for the actual meaning of Crestillion, we’ve discussed our own interpretations back and forth. We’ll definitely share the truth with our fans in the future! Q. According to your official Facebook, you are currently auditioning for another guitarist position. What do you feel adding a second guitarist will bring to Crestillion’s sound? Lilo – We often write our music for two guitarists to play, but it will be tough for me to play both parts at the same time live, haha! So it will really bring a fuller sound live. Though we currently love our line-up, it wouldn’t be impossible that another guitarist could join us. Q. Petri, you have a very unique, almost delicate vocal style. Voice distortion techniques have also been used in the tracks produced. This has received some criticism. How did you decide upon that sound for Crestillion? Petri – In Unbreakable there is a bridge section were we decided to put a heavy auto tune-effect on my vocals. Generally, people either like things like that or they don’t. To us, it’s kind of a guilty pleasure. We like bands such as Fear, and Loathing in Las Vegas who really overdo it, in a good way! We might use this effect more, for details or maybe even for a whole song, we like to experiment! It won’t be affecting our overall sound though, I like my vocals clean as well. Lilo – In the bridge section it was purely for the effect, since we wanted that vibe in the song. The bridge was written to have the autotune-effect. Kriss – I really like it the way Petri sings. It sets a good mark for us and when you hear him you know it is Crestillion you hear, and like with many other things you either like it or don’t. Kitcha – We had a couple of great singers wanting to join in our early days, but none of them stood out the way we wanted them to. Petri truly puts color in our songs and makes them unique, just the way we want them to. Q. Though you are a Swedish band, your song lyrics are sung in English. Why did you chose to do so? Is this a decision to help broaden your musics reach? Kitcha – We chose English so we could reach as many people with our music as possible, but that aside: we’re all just really comfortable with English. It’s a great language to express yourself in, whereas writing in Swedish is a whole different (and for us much more limiting) game. Q. As a visual band, image plays a huge part. A part which is often judged before the band’s sound is heard. How does that affect your image choices? Do you choose your image to reflect your sound or simply allow yourself be influenced by your personal taste? Petri – Style and in particular hair dressing is almost as big an interest as music is to me. As long as the group looks good as a whole and the visual image is maintained, everyone has the freedom to look however they like. Lilo – We dress the way we do because we like it. Yes we take inspiration from visual bands, but I personally take inspiration from other “visual” artists like K-pop artists. Kitcha – Both our visual style and the music itself is heavily connected to our state of mind, feelings and personalities. So in one way or another, it reflects our sound! Q. Drawing some influence from Eastern bands, which artists were you particularly shaped by? Is there a band whose look you’d love to cosplay? Petri – Oh, there are lots of bands. Worth mentioning are SuG, Ichigo69, Clavier, An Cafe and 176BIZ. I’m not really interested in cosplaying bands though, I like to be original! Lilo – We all individually draw influences from many different bands. I personally take some from An cafe, The GazettE, also groups like BIGBANG and B.A.P! I’m really not into cosplay, I’m just interested in the artists creativity-wise. Kriss – An Cafe was the first band I heard from Japan. 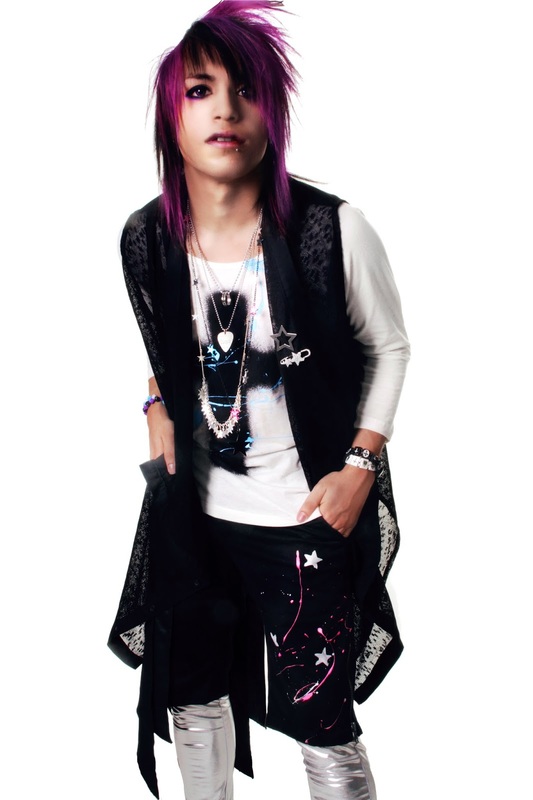 I’ve taken much inspiration from their bassist Kanon both in style and the way he plays. His techniques are awesome. Kitcha – While I nowadays take most influences from west, my drumming has been hugely shaped by Ayabie. Upbeat drumming is awesome. Q. Your band had a lot of firsts these past 10 months. Let’s start with your debut gigs: Dinocon, June 15th, and Storcon, June 28th. How fantastic was it to get out there on stage? Have you created a new band ritual before you take stage? Petri – The Dinocon gig was my first experience singing in front of an audience ever. I had only been practicing vocals for less than a year. It was amazing! The response we received from our fans, during and after the shows are what has motivated me the most! Lilo – We were longing for it for a long time, so it was a really fun experience. We always hug each other in a circle and say “LET’S DO IT”! Q. You have just released your first music video “UNBREAKABLE”, congratulations! This is a great milestone for you as a band. What was that experience like? What were your biggest challenges with working with a video format? What went really well? Petri – To be honest, I expected things to go wrong or take time, but everything went really smooth. I love acting but I’ve never done it on camera before. I already look forward to our next video! Kitcha – Filming the band shots was the biggest challenge. Playing countless of hours straight all while maintaining our energy and appearances was hard. With that being said, it was endlessly fun, and everything really went super smooth. Q. You’ve also just released your debut EP “Four Minutes”, out January 24th. What is “Four Minutes”? Does the tracklist represent Crestillion as a whole, or rather tell a specific story? What formats are available to purchase? Petri – Everyone has written at least one track each on the EP and thus, the songs show a great variation. Still, the overall sound is consistent. With some artists, when you’ve heard one of their songs, you’ve basically heard them all. We want to show a wide range of musical performances, there is something for everyone on this EP. Lilo – It represents us in the sense that we are really versatile in the writing process. We write pop/rock music, but that is such a wide genre. The songs are available for purchase digitally on iTunes and Amazon. Q. What does 2014 hold for Crestillion? Lilo – More live performances and hopefully more music coming out. 2014 will be Crestillion’s year! I love my band and all my members, they are all fantastic! For me Petri is the cutest singer in the world, Kriss is the greatest bassist in the world and Kitcha is the coolest drummer in the world. And I love that I think that, I couldn’t imagine being in another band. I love my boys! Kitcha – And for us, Lilo is the craziest guitarist in the world. I have a gut feeling that 2014 will be at least ten times as intense as last year, now that we’ve released our debut EP and music video! A HUGE thank you to Crestillion: Petri, Lilo, Kriss, and Kitcha for participating in this feature!